Mel Charney and his mom, the co-founder of Charney's, "Mrs. C." in 2012. Charneys Men's Clothing Stores has been locally owned and community-minded for 66 years. Owned and operated by the Charney family since 1953, they specialize in making men look great, no matter their size. When you look at the long list of local clothing retailers that have disappeared over that same period of time, you have to ask yourself this question: Why has Charney's Men's Clothing Store survived? 1) Charney's has HONEST sales - they don't play the "retail game" of marking things up to mark them down. 2) Charney's staff are clothing professionals who can put outfits together for the customer and make sure that they are fit correctly. 3) You get real quality for your money. Their clothing really lasts longer! 5) The Charney family works with their customers in the store, allowing them to stay in touch with their needs and desires. 6) A Tailor shop on premises means that Charney's get local, personalized tailoring service. They don't inflate their tailoring fees like some of the national stores do. From mens regular sizes to a mens size 70 waist, 10XL, or men's suits in short, long, extra long and portly sizes to a 66, you are guaranteed to find quality clothing and professionals who know how to fit you correctly. From boys blazers, to young mens brands like Buffalo, Levi's, Nautica and more... to mens clothing and shoes from quality brands like Cutter and Buck, Agave Jeans, Tommy Bahama, and Bill's Khaki's, Johnston & Murphy, Ecco and more... you'll find everything you need and then some at Charney's. They also specialize in suits for weddings and proms, and they rent tuxes and everything you need for your wedding, prom, or special event. Charney's is famous for their attention to detail and service. Come in and we promise you'll see the difference right away. 66 Years Involved in the Community! 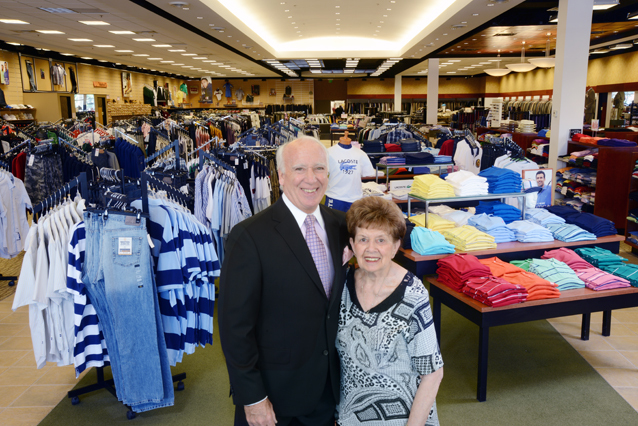 Charney's has been locally owned and operated by the Charney family for the past 66 years. They want you to feel as welcome in their store as you would in their home, and you will feel that difference.